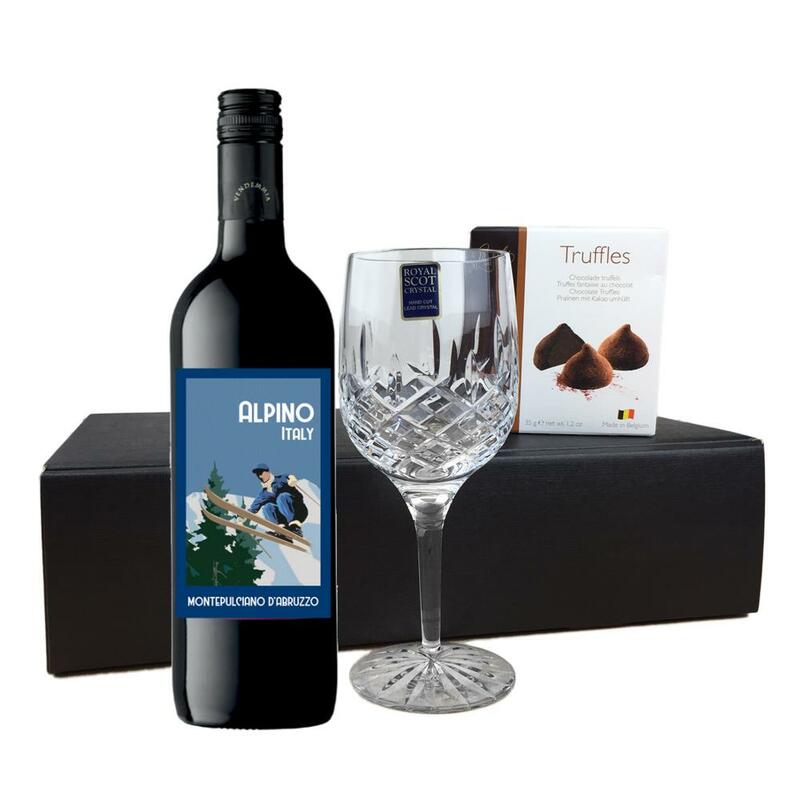 Buy this lovely gift box and get and get a bottle of Alpino Montepulciano d'Abruzzo all packed together with a beautiful hand cut lead crystal Royal Scot Wine Glass And box of Hamlet Belgian Chocolate Truffles, presented in a lovely black gift box. A smooth red wine. It is made solely from Montepulciano grapes. The colour is dark red, the palate brings intense impressions of cherries and soft spices. This results in a medium bodied wine, which holds lovely soft tannins This product is hand packed onsite by Bottled and Boxed, and is not affiliated with any other brand. Bottled and Boxed is responsible for this product combination/set.